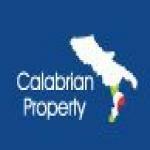 Commercial property in Italy brought investors an average 5.2% yield in 2011 according to the latest data from the IPD Italy Annual Property Index. This is a massive improvement on the 0.8% yields recorded in the sector in 2009. It is not all good news though. According to the data the growth was fuelled by increasing occupancy and income returns, capital values continued to fall in 2010. Capital values have fallen 7.8% in the 2 years 2008-2010, although 2010 saw the rate of decline slow greatly, from -4.6% in 2009 to just -0.5% in 2010. This, according to the experts means that we are now looking at a bottom in capital depreciation. However, rental values also fell, according to the index rents were down 0.7% in 2010. On the bright side vacancy rates fell to 7.3%, the first fall in vacancy rates since 2007, and income returns increased by 10 basis points to 5.7%. This was the highest income return seen for 5 years. Residential property in Italy is also thought to have bottomed, despite the turmoil in the European economy. According to the latest release of data from the Bank of Italy prices fell just 0.3% in the year to end the first half of 2010. This was echoed by Nomisma, and indepdent think-tank which recorded a 0.6% decline during the same period. Because prices in Italy have not seen a steep decline during the crisis, prices are now thought to be stable at their current level. Calabria can take its fair share of the credit for this. According to reports from real estate agents sales have recovered well since early 2009, and are currently thought to be returning to pre-crisis levels.